What Has Your Pet Taught You About Life? No wonder dogs—not to mention cats, birds, and bunnies—are man’s best friend: These loyal, lovable creatures are also surprisingly wise. This month, readers share lessons from the animals who rule their roosts. My fat, cantankerous cat, Pasadena, often rolls off the couch accidentally while she’s sleeping. Every time it happens, she gets back up and struts her stuff, as if to say, “Yeah, I fell down, but I’m still awesome.” She reminds me not to take myself too seriously. 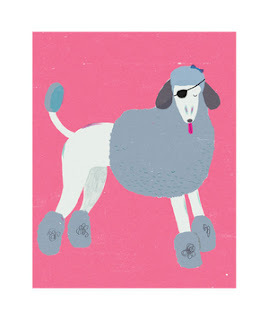 When Jacques, my 12-pound silver poodle, got into a tussle with a mule deer, he lost an eye. For days afterward, I was devastated. But Jacques had a different reaction. His first morning home from the vet, he got up with his tail wagging, excited to greet a new day. By moving on so quickly, he showed me that you shouldn’t hold on to sorrow when you can be happy. I’ve given him a new nickname—Jacques Sparrow—because he’s the bravest little pirate I know. My two cats do only the things that they want to do. I, on the other hand, often agree to take on responsibilities or accept invitations that don’t interest me, simply because I can’t think of a good excuse not to. But lately I’ve tried to take a page from the Book of Kitty and say, “No, thank you,” when I wish to decline. Thanks, Stachie and Flow! Living with a puppy who chewed my baseboards, destroyed my shoes, and stained my carpets made me realize that stuff is just stuff—it can be replaced. Now when anyone in the family messes up (the dog has a lapse in house-training; my fiancé breaks a plate or a mug), I simply take it in stride. Wisdom from my shepherd mix, Boone: Taking a walk in the park (in any kind of weather) will always make you feel better. The most wonderful things often happen unexpectedly. I’ll never forget the blustery day when I went outside to get the paper and saw a black-and-white rabbit sitting there. The Humane Society couldn’t catch her, but six weeks later I did. In no time at all, this bunny, Oreo, had me wrapped around her little paw. She has brought me so much joy and love—and I never planned on any of it. I learned from my cats that you should stretch before you get up, especially if you’ve been lying down or sitting for a long time. Try it: Your bones, muscles, and mind will thank you. Last August we lost our four-year-old dog, Sandi, to a sudden illness. We were so sad. Recently, though, we brought a new puppy, Lucy, into our lives. She has made us realize that even while you grieve, it’s possible to share your love with someone new. It’s essential to chase what excites you, even if you never catch it. That’s something I learned from all eight dogs I’ve been lucky enough to call my pets. Whenever I call for my dog, Casey, he takes the longest route possible. This serves as a nice reminder that I shouldn’t opt for shortcuts. Because of Casey, I park far away from store entrances and take the stairs instead of the elevator. It’s good for me, and it allows me to spend less time at the gym. My family raises service dogs for an organization called Canine Companions for Independence. We train the dogs and then they’re given to people with disabilities. People always ask me how we can give up these dogs after bonding with them for 18 months. I tell them that the difference the dogs will make in others’ lives is well worth the heartache. These pups have shown me that the greatest gift in life is giving. Never pass up an opportunity to have a little something to eat. I never worried about my cursing until my African gray parrot, Mojo, let loose an expletive, which he had clearly learned from me, while a preacher was paying me a visit. I was horrified and embarrassed. I thought, If this bird is picking up my bad language, what must my young son be taking in when I speak? Thanks to Mojo, I’ve tried to be more careful with my words. This entry was posted in pets, Teacher on April 24, 2013 by yourfriends. They can’t talk, but dogs say a lot about their owners’ personalities, a new study has found. “People tend to report that their dog’s personality is quite similar to their own, but we wanted to see if these stereotypes actually stand up to scrutiny,” said study author Lance Workman, a psychologist at Bath Spa University in the U.K. Using an online survey, Workman and colleagues probed the personalities of 1,000 dog owners and found some surprising trends. “Among the owners of seven breed groups, there were differences in personality,” said Workman, who is presenting the study today at the British Psychological Society annual conference in London. Read on to see what your canine companion says about you. People who owned sporting dogs, like Labrador retrievers and cocker spaniels, appeared more agreeable and conscientious in the survey. Labrador retrievers are the most common breed registered in the U.S., according to the American Kennel Club, or AKC. They are regarded as gentle, obedient and eager to please. People who owned herding dogs, like German shepherds or sheepdogs, were more extroverted. German shepherds are the second most popular breed in the U.S. They’re fearless, but not hostile, eager and alert, according to the AKC. 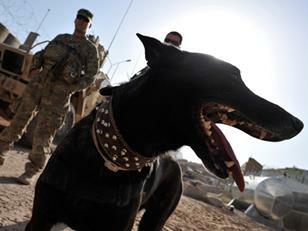 They serve as watchdogs, service dogs and herding dogs. People who owned hound dogs, like greyhounds and beagles, were more emotionally stable, according to Workman’s survey. “That means calm and consistent,” said Workman, who pointed out that President Lyndon Johnson had a beagle. Beagles, known for their happy-go-lucky, family-friendly demeanor, are the third most popular breed in America. Greyhounds are the fastest breed, according to the AKC. People who owned toy dogs, like Chihuahuas or Yorkshire terriers, were more agreeable, more conscientious and more open to new experiences. Celebrity toy dog owners include Paris Hilton, who has a Chihuahua named Tinkerbell. 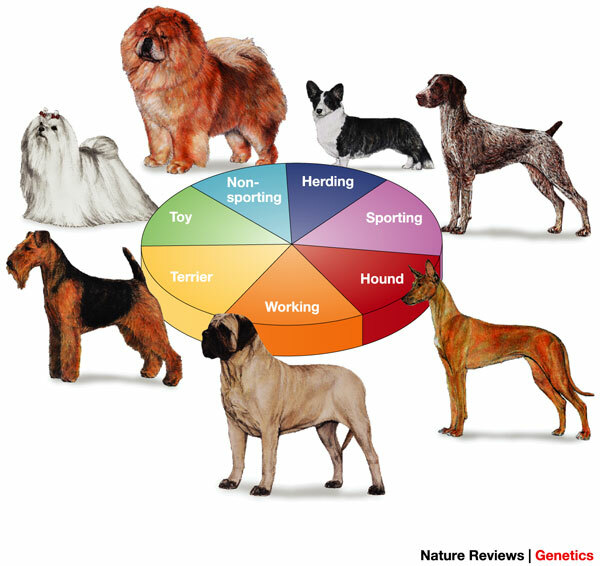 The breed is known for its confidence and sense of self importance, according to the AKC. People who owned utility dogs, like English bulldogs Shar-Peis and Chow Chows, were more conscientious and extroverted. The English bulldog, which muscled its way into the AKC’s top 10 breeds in 2008, is known for its kindness, courage and “dignified” demeanor. They’re also gentle and protective. No personality traits stood out in the survey among people who owned terriers, like the Staffordshire bull or the Scottie dog. The Staffordshire bull mixes courage and tenacity with affection for friends, children in particular. Scottie dogs, on the other hand, “exude ruggedness and power,” according to the AKC. Like terrier owners, people who owned working dogs, such as Dobermans or schnauzers, had no standout personality traits. “They tend to be agreeable, but most dog owners are,” said Workman. When asked whether dog owners were more agreeable than cat owners, Workman paused. This entry was posted in breed groups, Personality on April 17, 2013 by yourfriends. Some of the bravest souls in the world are returning from the battlefield with post-traumatic stress disorder. A military animal expert says that up to half of the dogs serving alongside our armed forces are suffering from behavioral issues resulting from their high-stress jobs. Around 2,500 dogs are active in the military, including Dutch and German shepherds, Belgian Malinois and Labrador retrievers. Some traumatized dogs require only rest and relaxation, while others demand one-on-one therapy with trainers. Simply identifying the problem, some vets say, is significant — given that doing so might appear to diminish the effects of PTSD in humans. This entry was posted in PTSD, War dogs on April 10, 2013 by yourfriends. Sugar Gliders are small marsupials, native to Australia, Papua New Guinea, and Indonesia and were introduced to the United States in 1996. The average size of a Sugar Glider is 5-7 inches, and their tails are of equal length or longer. These cute little marsupials live about 12-15 years in captivity and are nocturnal. Sugar Gliders are very social animals and live in colonies, they communicate with each other by scent marking, barking, hissing, sneezing, and “crabbing”. Sugar Gliders are omnivores and eat insects, lean meats, fruits, and vegetables. In captivity, a balanced diet with supplementation is vital to keeping them healthy and preventing many common disease conditions as a result of improper feeding. Similar to the American Flying Squirrel, Sugar Gliders have a gliding membrane that stretches from their front to hind limb, which enables them to glide up to 50 meters! In the wild, Sugar Gliders live in treetops and glide from tree to tree in search of food. Their large eyes enable them to see very well at night, making them very good hunters. Female Sugar Gliders give birth just about 18 days after gestation. The small under-developed joey, approximately the size of a grain of rice, makes its way to its mother’s pouch where they continue to develop for another 10 weeks. Sugar Gliders are very good parents, while the joey is very young, each parent takes turns staying with them while the other one leaves the nest to eat. Once the Sugar Glider joey is large enough to leave the nest, they “hitch-hike” on their parents’ backs. Sugar Gliders are considered an exotic pet due to their size and special dietary needs. Being recently introduced as a household pet, there is not a lot of research on them, and finding veterinary care can be very challenging and expensive. Scent plays a major role in the way Sugar Gliders identify with others in the colony and their human companions. Daily handling is recommended and truly rewarding once they are bonded. Sugar Gliders can make great pets with a lot of time and dedication. This entry was posted in Sugar gliders on April 3, 2013 by yourfriends.